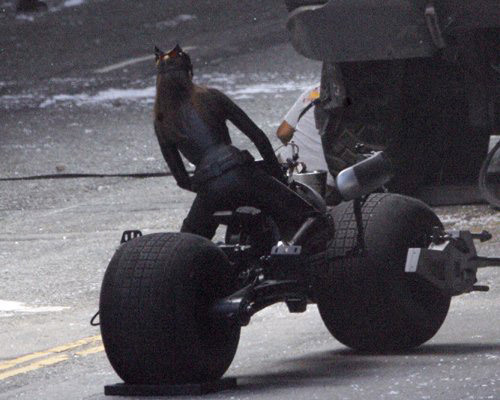 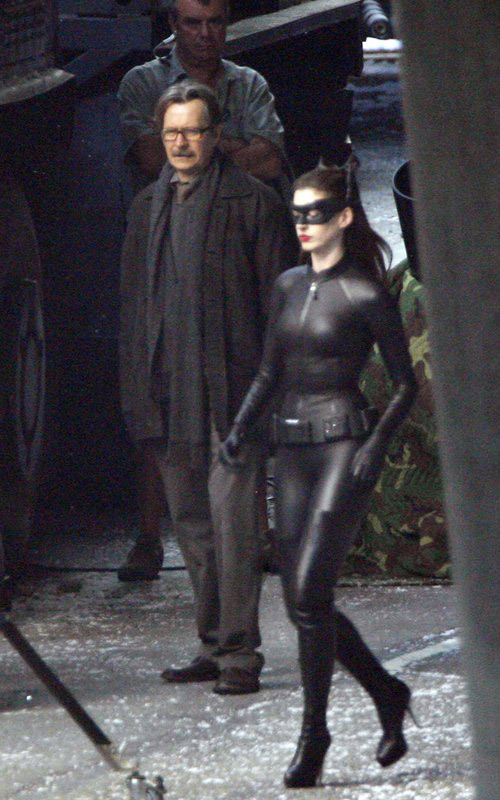 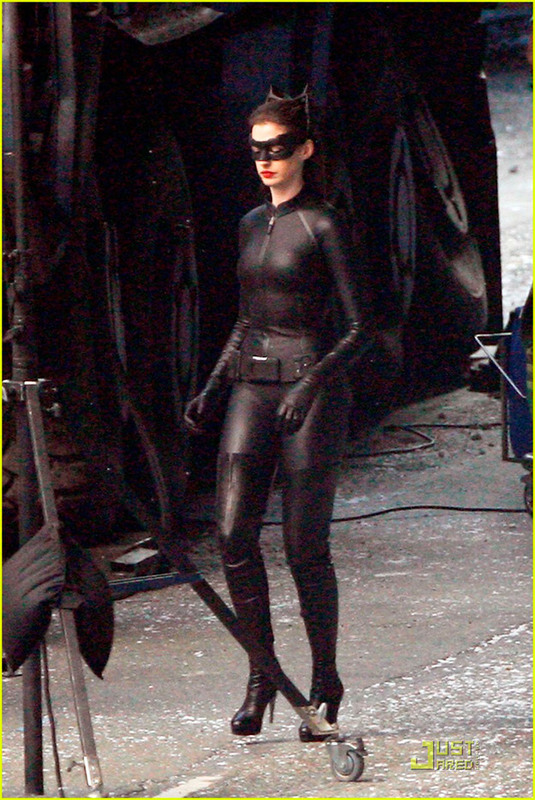 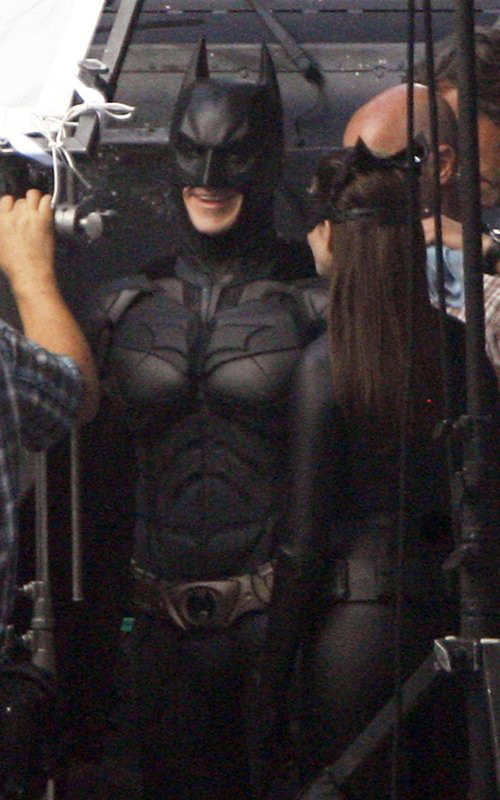 Hathaway in Full Catwoman Costume on The Dark Knight Rises Set! 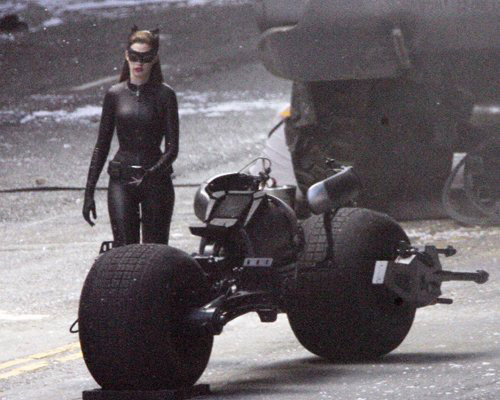 Christian Bale, Anne Hathaway and Gary Oldman were spotted filming The Dark Knight Rises in downtown Los Angeles on Saturday, September 24. 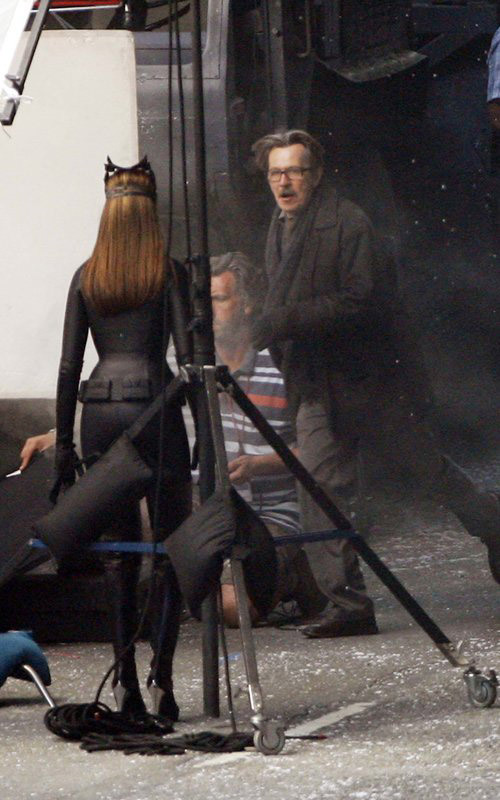 They were in full costume as Batman, Catwoman and Jim Gordon. 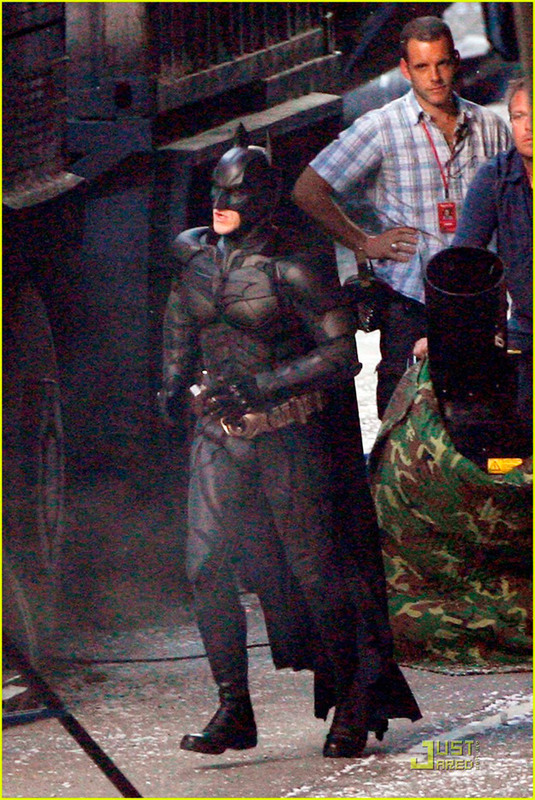 The photos originate from Splash News Online, but Just Jared and Celebrity-Gossip.net have posted selections, a few of which you can see below. 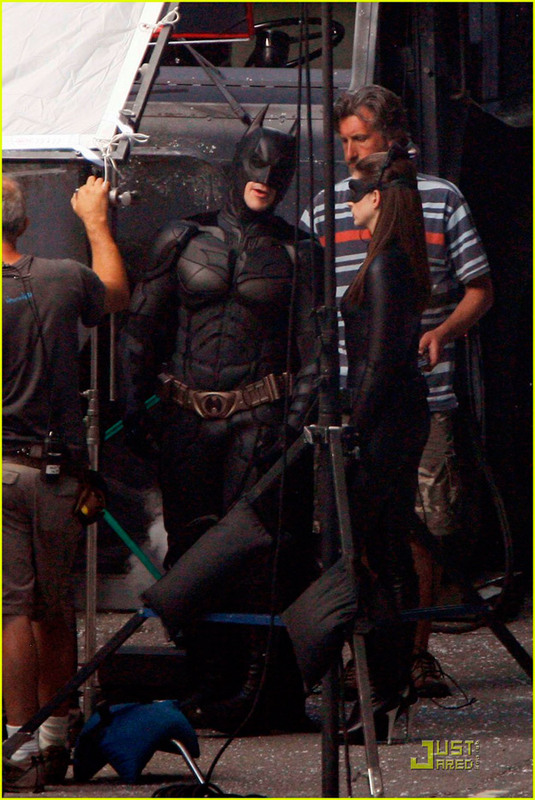 You can click on them for more.